The entire new 2011 Karen Walker “KW HEARTS UV” eyewear Collection is now in stock. We are huge fans of Karen Walker Eyewear here at Eyegoodies and are very pleased to present to you the latest 2011 “KW HEARTS UV” collection and campaign. This season Karen Walker does it again, with a range of new frames that are refreshingly original, fashion forward, and very wearable. Seven great new styles are introduced to the collection in a wide variety of stunning colors: from classic tones such as “crazy tortoise” and black, to bright eye-catching semi-translucent candy colors such as orange and fuschia. Also we are glad to see the “Number One” model, last years break out hit, updated this season in very unique two tone color options: black with crystal yellow, brown with crystal orange, and purple with crystal green. If pressed to pick a favorite, at the moment it would have to be the “Perfect Day”. In the same spirit as the all popular “Number One” frame, the Perfect Day is a feminine and slightly oversized cat-eye shape with great proportions that tends to fit almost all faces extremely well. Previous season’s campaigns brought us frames modeled on Vampires then Egyptian Gods, now she shields even the most sun-sensitive albino’s; While they might usually try to avoid the sun, they can’t wait to sport their new Karen Walker shades and we can’t blame them! Checkout the new collection, paired with the campaign imagery below. 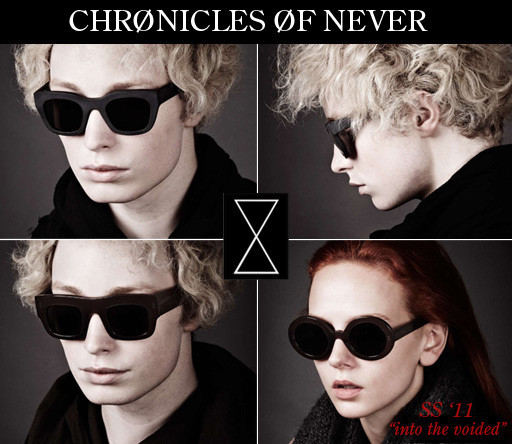 The new Spring Summer 2011 Chronicles of Never Eyewear collection is now available. Supply Limited. In keeping with the brands sensibilities, Australian based label, Chronicles of Never’s latest “Into the Voided” Spring Summer 2011 eyewear collection is both dark and sophisticated. Like past seasons, don’t expect to find bright popping colors here, but several variations of darker tones, such as: Matte Black, “Charcoal Glass”, deep rich Tortoise, and new this season “Blood Red”. Extra thick and chunky quality acetate is used to create three very unique new styles. Playing off the connected and the distinct edgy feel to the collection, the models introduced this season are named after the classic Wu Xing “Five Element” principle, frame names include: “Wood Feeds Fire”, “Fire Creates Earth”, and “Earth Bears Metal”. Checkout the new pieces below. 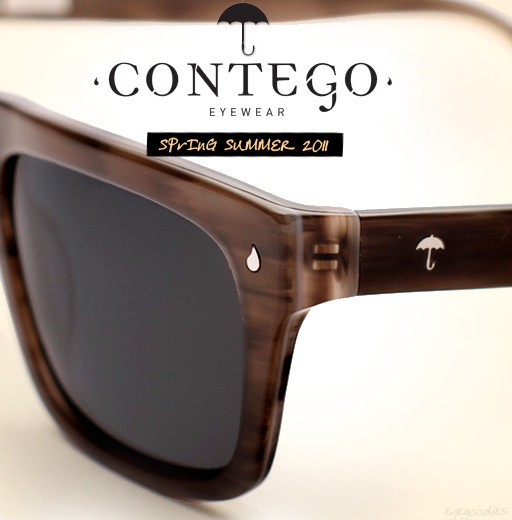 Eyegoodies is proud to welcome to the site Contego sunglasses. Straight out of Brooklyn New York, CONTEGO Eyewear’s debut Spring/Summer 2011 Collection has both style and heart. CONTEGO, founded by Aaron Hansen and Mikol Stambaugh, features hand crafted acetate frames, with stainless steel hardware for increased durability, and Polarized lens options. We love the brands laid back sophistication, from the well fitting shapes, to the colors (such as matte black, matte navy, and grey swirl). Each frame is named after a Nobel Prize winning author and is adorned with the Contego stainless steel umbrella logo and “drop”. Also worth noting for the socially aware, CONTEGO has partnered with RestoringVision.Org, so that after each purchase of CONTEGO frames a pair of prescription glasses will be delivered to someone less fortunate; something we can definitely get behind. With an excellent price point at just over $100, there is a little something for everyone, so checkout the collection below. The Limited Edition SUPER Randagio. Part of Super’s special projects, meant to signify their top range models which are produced in extra limited quantity, Super releases the Randagio. The Super Randagio is quite a unique piece, both a refined and strong design. 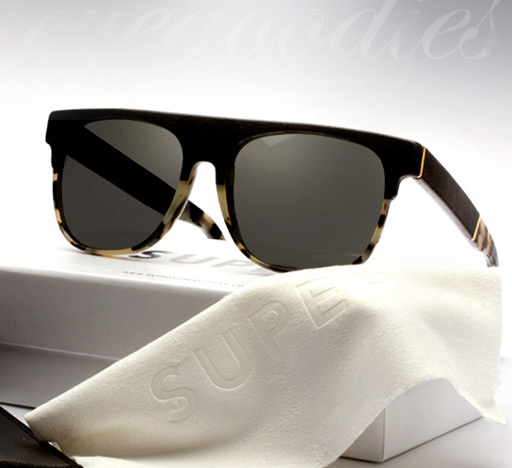 Utilizing Super’s Flat top shape it features a monotone tortoise (Puma) acetate half covered in top notch Italian leather with gold accent trimmings. Limited to 230 pieces total produced, the Randagio features Super’s signature white box which has always distinguished their special projects, as well as a unique all leather carrying case. 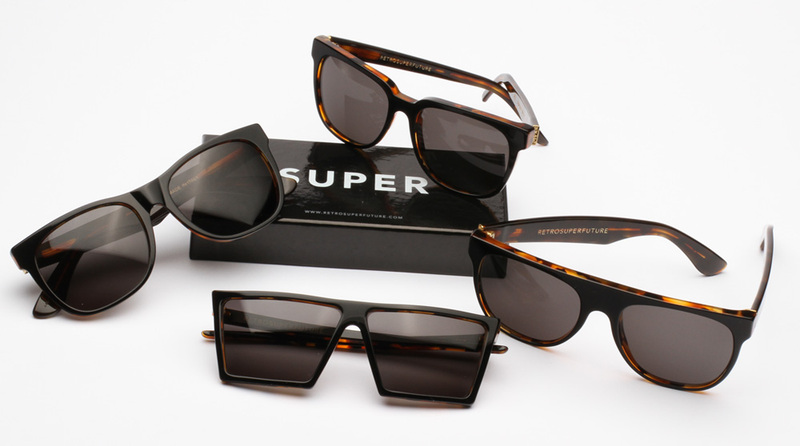 SUPER sunglasses Spring Summer 2011 collection, new colorways now in stock. Supply limited. 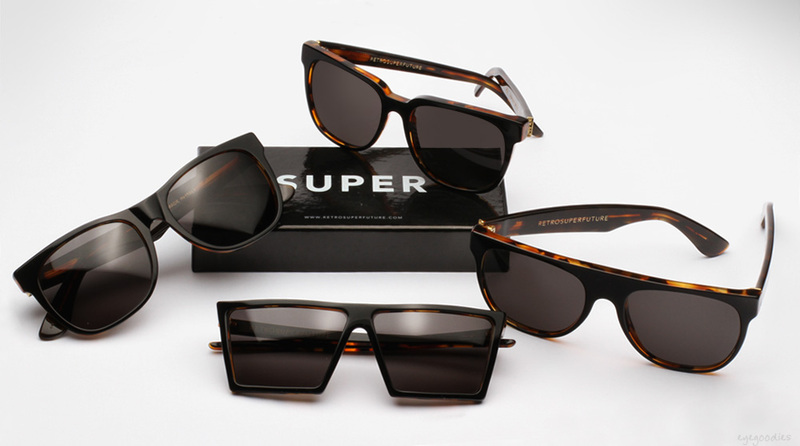 This season in addition to re-issuing some of the most influential frames from the past 3 years(read more about here), Super also brings us some great new colorways. Here we present 3 of our favorites. Check them out below. Ray Ban sunglasses, world renowned for their classic American styling, brings a very authentic vintage feel with its new RB 3447 model. 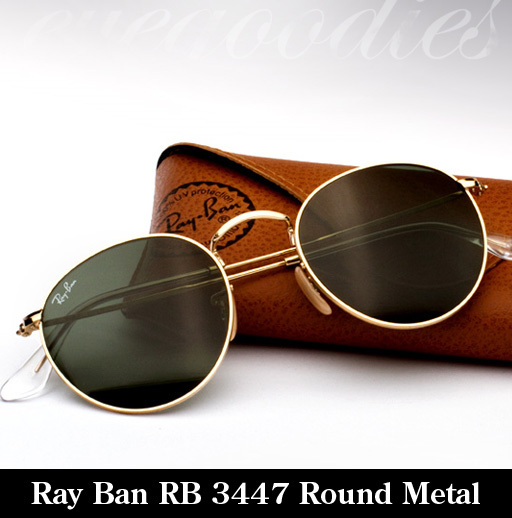 The RB 3447 Round Metal sunglasses are a great example of classic vintage Ray Ban at its best, with its round metal shape and smaller very well proportioned fit. Ray Ban has made pairs similar to 3447’s every decade of their history and we are glad to see them re issue these here in 2011. Particularly impressive are the subtle details, such as the etching along the frame.